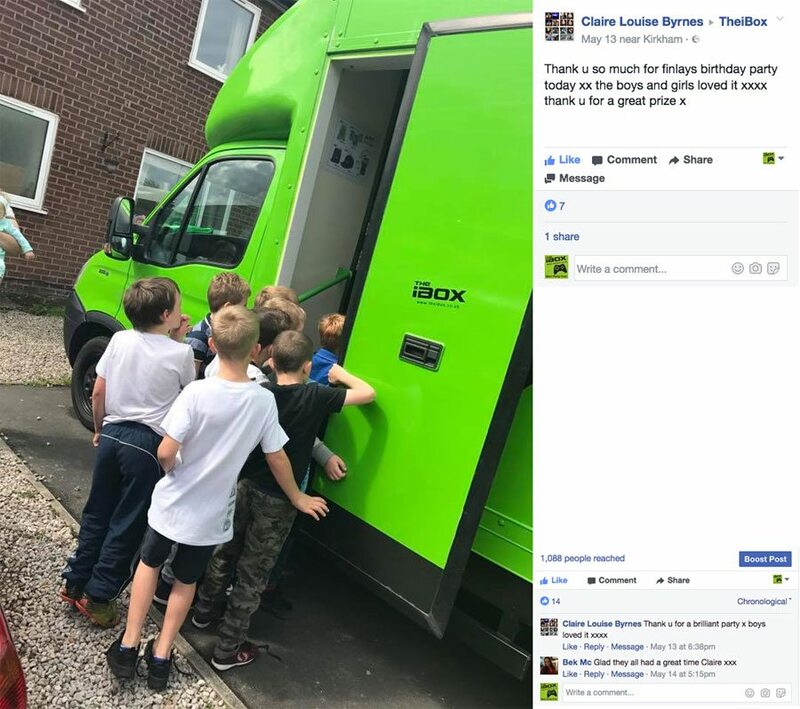 The iBox gave away another Free children’s party this week. Like our Facebook page to be in with a chance to win one for yourself. 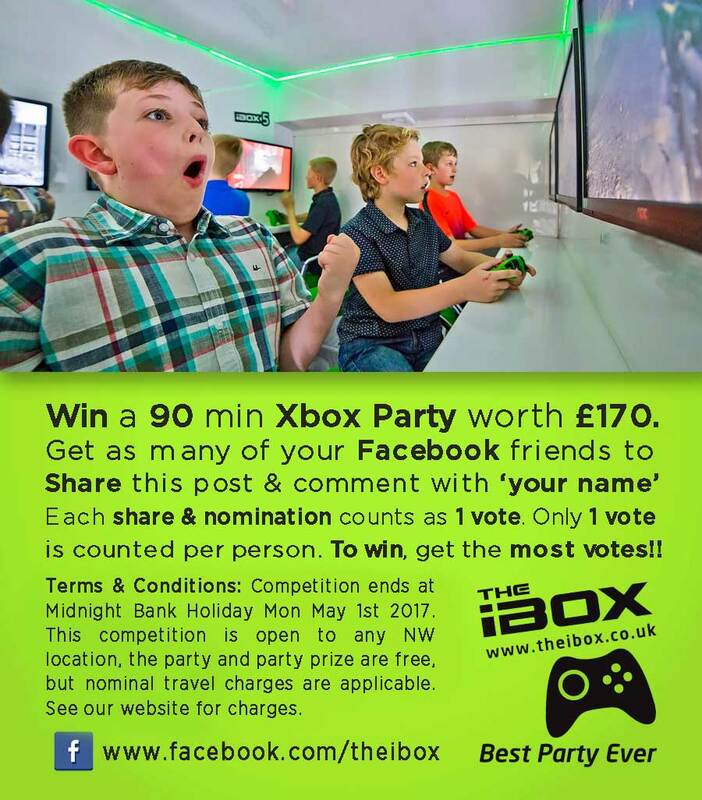 The iBox was the first mobile video game party bus in the UK, it’s first party was back in November 2011. It’s been putting smiles on faces ever since then and now has three vehicles, the third currently being converted. We cover all areas of the North West of England and North Wales. Most of our parties are booked in Manchester and Liverpool areas even though we travel out from our Blackpool base. If you are looking to book the iBox for your child’s Birthday Party try and book six to eight weeks ahead to make sure we have availability. If you have not planned that far ahead or have only just discovered our fantastic Xbox parties, we also have good availability during the week, straight after school or at a time to suit. Check out our rates and use our quote form to check availability. The iBox has seen an increase in bookings during term time from Schools themselves. Head Teachers and Principals are increasingly looking for new ways to encourage better behaviour and/or attendance, with added pressure to ensure their attendance is above the national average. The iBox offers a fantastic solution to encourage and reward pupils to achieve better results. It will not come as a surprise that Xbox video game entertainment is popular with children of all ages. 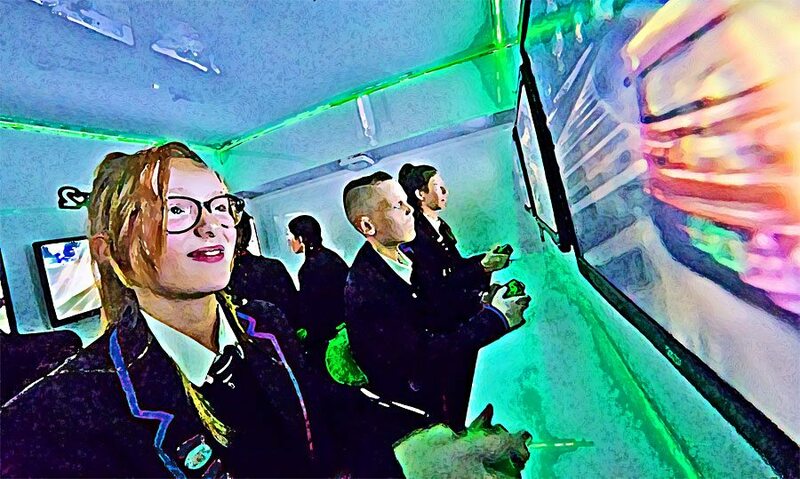 The iBox is a party bus which contains 9 x HD screens and Xbox game consoles, they all link up to allow everybody to battle and race against each other at the same time. Booking two vehicles doubles the number entertained, it can also allow for team building competitions, a new third vehicle (currently being converted) will allow up to 24 players to play together at the same time. But it’s not all about racing and battling as the iBox also hosts many creative Minecraft challenges and Fifa League competitions. The iBox staff are List 99 checked, have public liability insurance and can provide a risk assessment. If you think your North West based school could benefit from such a fantastic incentive scheme, please call Ben on 07966 360 880 or use our contact form. The iBox rates can be discounted during term time as demand is quieter whilst the children are at school. The iBox has teamed up with a fantastic family friendly restaurant which is perfectly located just off Junction 7 of the M60. TGI Fridays in Sale, Manchester offers the perfect setting to accompany your child’s Xbox birthday party or celebration. Offering plenty of parking and being so close to the M60 makes this an ideal place to meet up. With such a mouthwatering menu some parents will surely be tempted to dine-in between drop off and collection. TGI Fridays offer two menu options. Little League menu is available for smaller children at just £3.99, Major League menu for older children is available at £5.49. Check to see what’s on the kids menu this month. So if you are looking to hire the iBox and live in Sale, Altrincham, Stretford, Urmston and any other nearby districts in Manchester, wouldn’t it be a good idea to let TGI Fridays cater for your children’s party! For more details about our Xbox parties we have a FAQ page. If you would like to enquire about our availability, please use our Rates Quote Form and we will get back to you within 24 hrs. We will also arrange your booking with TGI Fridays. 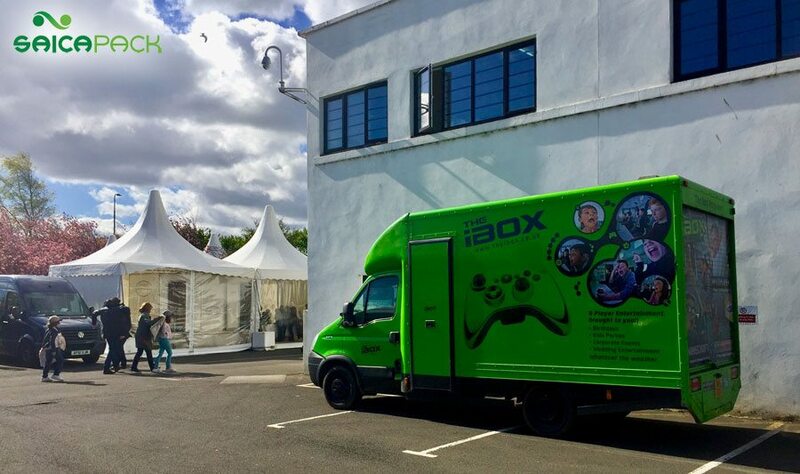 The iBox was delighted to provide a party for a well known Premier League Football Star this week It may not come as a surprise that a Fifa League was chosen and enjoyed, there was even time to enjoy some Multiplayer racing games afterwards. We want to respect the privacy of everybody that books our parties so cannot provide any more details than that. 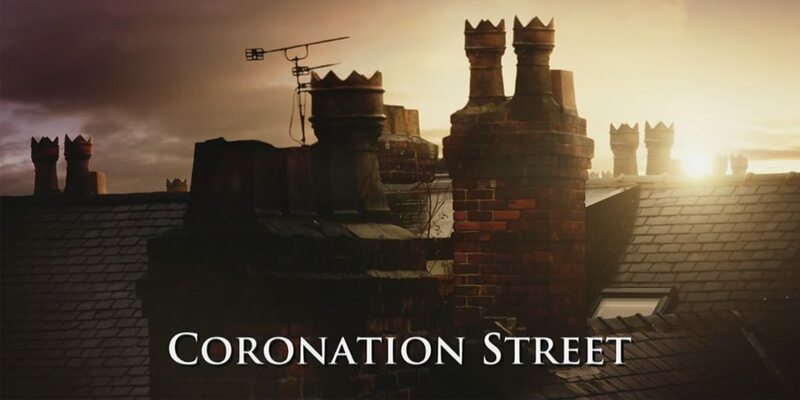 We also recently had a regular from the ‘Coronation Street‘ cast volunteer to be a Judge for their families Minecraft Party. No matter how well known you are, you can be assured that you will all get the same fantastic Xbox party experience which we have been professionally delivering since our very first children’s party on 12th November 2011. Our focus is ensuring that the Birthday Boy or Girl and their friends have the best party ever. For more details about our Xbox parties we have a FAQ page, if you would like to enquire about our availability, please use our Rates Quote Form and we will get back to you within 24 hrs. The iBox was invited to Saica Pack’s Edinburgh branch to help entertain the companies Spanish shareholders yesterday at a corporate event, having previously entertained at a similar event in their Wigan branch. The event was enjoyed by all guests, luckily their command of English was far superior to our command of Spanish, but video game entertainment breaks down all those minor barriers. We look forward to seeing you all again some time soon. The iBox provides innovative entertainment for Corporate Events and Fun Days. Planning for such events can throw up all sorts of problems, the iBox is a self contained mobile unit that the weather can’t spoil. We also have multiple vehicles which can link together to expand to meet your requirements. We are currently converting a third vehicle which will provide the capability of an epic 24 player Call of Duty Battle. Linking two of our trucks offers the perfect team building games. Pit your office staff versus your warehouse staff in capture the flag team games, communication and leadership skills will be put to the test as each side work together in offensive and defensive scenarios. The roles are reversed in different rounds and maps. The victorious team will be puffing out their chests for months to come. Family Fun Days don’t get much better than this, all the children will immediately home in on this allowing the adults time to relax. For more information regarding our innovative Xbox corporate entertainment call Ben on 07966 360 880. Like our Facebook page so that you get the best chance to win one of our parties. Our latest ‘share & nominate’ competition gives away a 90 minute party to the person that gets as many of their friends to share one of our posts, they also need to nominate your name. So each ‘share & nomination’ counts as one vote. We only count one vote per person. So if you want to see why kids are calling our entertainment ‘the Best Party Ever’ and have lots of Facebook friends, what are you waiting for? The competition closes Midnight Monday 1st May 2017. It is open to all North West locations, standard travel surcharges are applicable for locations outside an FY postcode. https://www.theibox.co.uk/wp-content/uploads/2017/04/win-a-party.jpg 320 900 Admin https://www.theibox.co.uk/wp-content/uploads/2016/09/iBox_logo-1.png Admin2017-04-21 18:54:522017-04-27 15:31:45Win an iBox Party!